The holidays are a great time to get hired as a seasonal worker working as a virtual call center agent. Often times, there can be an opportunity to stay on with these companies after the holiday season, or at least return the following holiday season. Working as a virtual call center agent requires answering incoming phone calls that are routed to your home phone. Many of the virtual call center companies assign you to one specific client in order for you to become comfortable with that specific script and product. Calls are mostly customer service based calls and may include helping people with their accounts or orders. Clients range from pizza delivery stores to credit card companies. Some clients are more sales focused, and a few virtual call center companies also conduct outgoing calls. Read as much as possible about the company and the job description before applying and then choose one that you know you will feel comfortable doing. What Equipment is Required to Be a Virtual Call Center Agent? To get a job as a virtual call center agent, you must own your own computer and each company has specific technical requirements that your computer must meet. In most cases, as long as your computer is not ancient and you have a decent amount of memory, you won’t have too much of a problem meeting these requirements. Almost all companies also require that you have high speed internet and a land line phone. Cell phones are not usually acceptable, and a headset is usually required in order to type and talk at the same time. You’ll want to check out the individual requirements on each company’s website before applying to be sure that you can meet them. A handful of companies, including Teletech and Alpine Access, will hire you as an employee, but many take you on as an independent contractor. These two options lead to a lot of variables between companies. Being an independent contractor typically means less commitment as far as how much you are expected to work. Most allow you to log on and schedule yourself for shifts with only a very minimum number of hours required to stay on – sometimes as little as a shift a month. Because of this, they usually have a lot of contractors employed in order to ensure they are always staffed, and this can make getting enough shifts more difficult depending on how much you want to work. Independent contractors are usually allowed to work for more than one virtual call center, so you may need to sign up for multiple companies in order to get steady work. Conversely, companies that hire you as an employee will usually have a non-compete agreement and will not allow you to work with another virtual call center while employed with them. They may require you to commit to certain shifts each day of the week and work a minimum number of hours depending on if you are part-time or full-time. This guarantees you plenty of work but may not have the flexibility some people — moms especially — may need. Evaluate what you really want out of this before applying. Can you commit to working full-time? Or do you just want some extra pocket money? Another variable between companies is how the pay is calculated. Some call centers pay by the hour. These are usually the ones that hire you as an employee. It is not uncommon, however, for some to pay by the minute of talk time – so if you happen to get a slow shift you may not make as much money as you were hoping. During the holidays this is usually not a problem, and most companies that pay by the minute make an attempt to not overschedule in order to keep everyone busy. You just want to be fully aware of all of these variables before you accept a position. What Companies Are Hiring Virtual Call Center Agents Right Now? VIP Desk is currently hiring for a number of positions with November training classes. They are filling both part-time and full-time home-based concierge positions, as well as what they call “brand ambassador” seasonal positions. Convergys is filling multiple positions for both full-time and part-time customer service agents for multiple clients. Teletech is hiring for their part time customer service and season customer service positions. LiveOps is hiring for their emergency roadside assistance call center team. Transcom, West, Alpine Access and Working Solutions are all currently accepting applications. Another option is applying directly with some of the companies who are now hiring their own virtual call center agents including 1-800-Flowers and U-Haul. Have you worked as a virtual call center agent before? If so, tell us about your experiences! Alaina shares her twelve years of work from home experience at her blog Telecommuting Mommies. She also opens up her personal life as a homeschooling, blogging, work at home Mom of four at The Maestro Mom. Follow her on Twitter at TelecommuterMom. Good point Sarah 🙂 Most Moms that do this type of work either do it in the evening when their husband is home to watch the kiddos or after the kids are in bed for the evening. I know most of the Moms that work during the day either have older kids or they do it while the kids are at school. Another option is if you work with some of the more flexible companies that you can schedule shorter shifts with you can hope on for a little while here and there during naps, that is what I used to do. You’re right Grace, no noise. Guess it depends how big your house is how doable it is when the kids are awake but my house is very small and I had four kids at the time. I just put a fan in the bedroom where I worked and turned it on high to create background noise when I was working to block out noise and never had any problems. I don’t know but my mom’s internet was out last week. She called to report it and when she got off the phone she said the lady that answered had screaming kids in the back ground. Wow. Just – WOW!! I never knew this was an available option and I am so intrigued!! While I don’t have a landline, I might look into it (even for a short period of time) just to make this a possibility. What an excellent opportunity; thanks SO MUCH for sharing this with us!!! If you have wireless internet you should look into getting an ooma. It is a really cheap way to have a land line. I worked for West a couple years back and used Vonage, it worked good for me at the time. I’d thought about that. We used to have a MagicJack, but the service wasn’t all that great. Later, (after we’d cancelled the service) we found out it was our computer, not the MagicJack. I’ll look into an Ooma. Thanks! I love the idea of doing this, and am experienced, but they are all U.S. companies. Do you (or other readers) happen to know of any companies that hire for this in Canada? Also I have a more detailed list on my website, here http://www.telecommutingmommies.com/p/work-at-home-companies.html , just scroll down to the virtual call center list thanks! Working Solutions (linked above) say they hire people anywhere although some projects are restricted due to telecommunication fees. Just clicked over to Alpine Access and they have a big banner saying they’re hiring in Canada now, too! I worked for West, Live Ops and ACD Direct a few years ago. They’re all reliable companies. There was quite a difference in the programs they used and what you had to learn (on your own time) in order to qualify. The personnel, pay history and credibility of all 3 were good. The main problem I had was when certain applications for taking calls or taking call information didn’t work as it should, especially during redesign periods. This led to a lot of frustration on my part, and sometimes the companies wouldn’t admit to blame on their part, even when many agents were experiencing the same problem. All that said, I would definitely do this work again. It is a great ‘stay-at-home’ job. Great practical insights here. Thanks for sharing! Just a heads up to everyone, you want to be careful with Live Ops. I have worked for them in the past on their general selling line, which basically means answering calls for all of the infomercials that are on tv, 24/7. If you’ve ever been up during night time hours, there are some pretty yucky things on. So imagine my surprise when I had to read a script pertaining to this trash! With any company you are right, you need to be clear about who the client is and what products you will be dealing with to make sure it is something you are comfortable with whether it is a product maybe you just don’t believe in or something that requires a lot of upsells that maybe makes you uncomfortable. Good point! LiveOps does contract services to some adult product companies. However, agents are allowed to “opt out” of answering calls for this type of product. This company provides services for MANY reputable companies. In case it has not already been mentioned, LiveOps also offers opportunities for good agents to apply for “specialty” lines, where you focus on ONE product or service. These include Boutique Sales, Auto Insurance Claims, Roadside Assistance, Pizza Orders and more. When starting with the company, it can be slow. But dedicated agents who stick with it can end up doing well. As mentioned by many people above, background noise is NEVER okay. I worked for Alpine Access for over two years and they are really great, I agree! Can you share what range of pay a beginner could expect from an employer such as Alpine? Hi Jennifer – I pulled this from their site. I hope it helps! Q: How much are customer care professionals paid? A: We establish pay rates based on the experience and skill sets needed for each of our clients and their programs. In general, the average rate is about $9.00 per hour. Q: Am I paid by the hour or by the call? A: We pay all employees for the hours they work, regardless of whether they are on calls, or waiting to take the next call. Q: How often would I get paid? A: We pay you every two weeks. Q: Do I receive a paycheck in the mail? 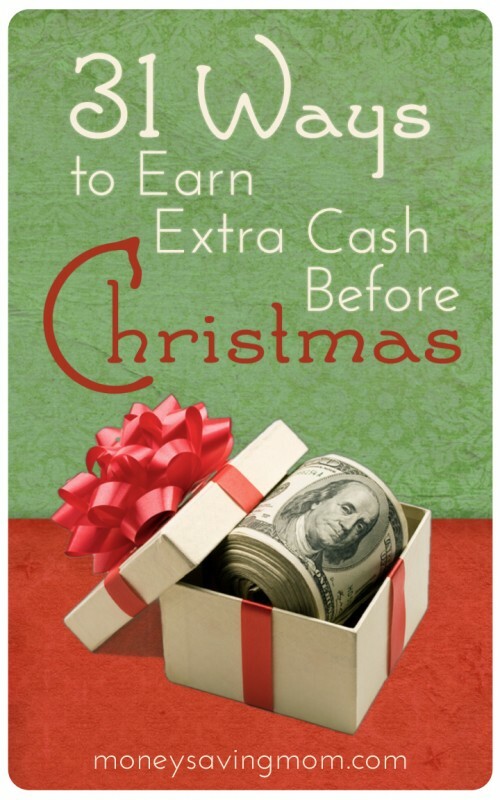 A: The most expeditious way to get paid is to have your paycheck direct deposited into your bank account. For this reason, we encourage all employees to be paid via direct deposit. As a general rule, we do not send checks in the mail. Q: When would I be eligible to receive benefits? A: After 30 days from your hire date, working an average of 20 hours per week with Alpine Access, you will be eligible for our voluntary benefits program that includes medical, dental and vision insurance for you and your family. For qualified employees (completed one year of service and worked 1,000 hours), we also offer a matching 401(k) plan. Q: Are the benefits different for full-time and part-time employees? A: Both part-time and full-time employees are eligible for insurance coverage. Qualified part-time and full-time employees (completed one year of service and worked 1,000 hours) can participate in a matching 401(k) plan. A: Yes, there are a variety of advancement opportunities available within the Alpine Access team. Many of our best performing customer care professionals have been promoted to team leaders, coaches and account managers — while still working from home. Was really interested in Alpine, until I just read that they won’t work with Mac computers. Bummer. What about using the Windows Parallels for Mac program? Geez most of them are quite strict on what you need to qualify esp a credit check! The credit check and background checks are usually because you are handling sensitive information including people’s credit card #’s. I know it seems excessive but if you think about who you would want handling your credit card info, I know I would want them checked out thoroughly. I can understand your comment, but if you have bad credit you get treated like a criminal just like applying for a regular job now it is sad. Thanks for this great post. I’ve scrolled through a few of these sites & the requirements seem to be for PC & Windows. Does anyone know which, if any, of these companies allow Macs? I will pass this one on for sure. I am looking into Alpine Access right now. I need a company where I can make my own schedule. I am a manager for a large retail company so my schedule is different every week. Do you know if these companies will allow a husband and wife work for the same company? My husband and I both would love to earn extra money on our days off since we usually do not have the same days off since we are both in retail management. Unfortunately most of these do not hire in CA 🙁 Can you provide a list of companies that DO hire in CA? I am so excited to start a virtual call center job at home this coming Monday! I am going to work for HSN. West just sent me an offer for an opportunity but I had to turn it down since I will be working 40 hours a week. I did get offered to do an interview with Alpine Access but was hired by HSN first. Good luck to you all who are looking into this type of work! How did you get hired with HSN? Did you just do a search on the computer? Alaina…you mentioned in a comment that you worked for a company where you could hop on during naps, etc. Which company was that? Also would love to know if there are any companies where you can use a Mac. Thanks! I have a phone interview with TeleTech today. Does anyone out there have any experience with this company? They require a 2 week training certification to qualify and the classes were held the first week of September. I have not yet been successful if finding out if they will be holding any more. I am having trouble contacting them to find out. Is there anyone who might know if there will be more certification classes?